We can confirm that Park Hyatt is not referred to as “special” as a vapid assurance or corporate safe word, but as a frankly inescapable truth as you are inside its walls, effortlessly elevated 40+ stories over Shinjuku with endless views that help you understand why pilots fall in love with flying. To many foreigners, it is the place they came to know during Bill Murray’s seemingly hyperbolic experiences in Lost In Translation, but an exaggeration it is not. The atmosphere is that cinematic, the cocktails are that perfect and the service truly sublime. The Park Hyatt Tokyo is unapologetically luxurious, but does something many hotels fail to do at similar price points — it is sincere in doing so. Not because it seemed like a good idea or something driven by trend or market direction, but because they have a firm grasp on who they are and what is expected of them. The Park Hyatt Tokyo is unapologetically luxurious, but does something many hotels fail to do at similar price points — it is sincere in doing so. “Iconic” and “classic” are terms often thrown around, but here they are a state of being — yes, you are actually issued a sterling silver room key as you begin your stay in a tower designed by the late Dr. Kenzo Tange, the highly acclaimed “father” of modern Japanese architecture. 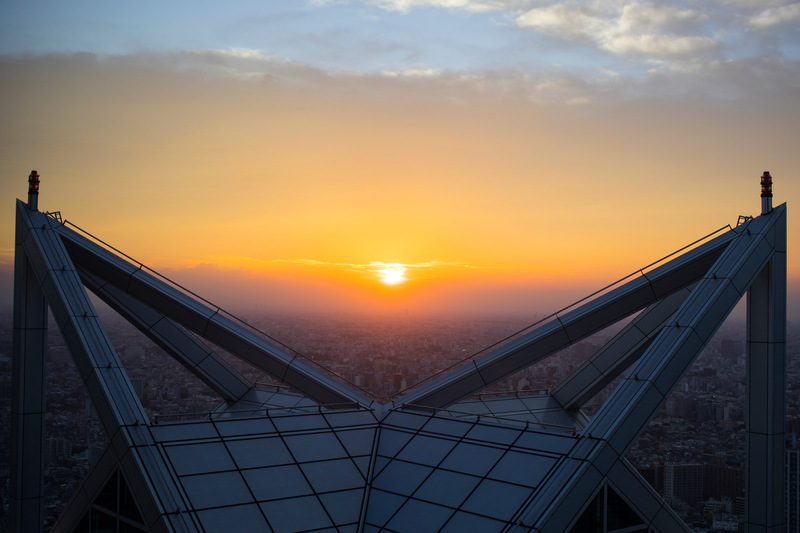 Tange’s design includes three soaring towers of different heights so that nearly every public space and private room offers stunning scenes of Tokyo, the Kanto Plain and Mount Fuji. The stepped-back building design is visually striking but also minimizes the impact of the building’s large mass on the surrounding area. American (by way of Hong Kong) designer John Morford is responsible for the hotel’s welcoming interior, with an intent to make it feel like a small, elegant personal residence encased in Tange’s bold granite-and-glass sculpture. 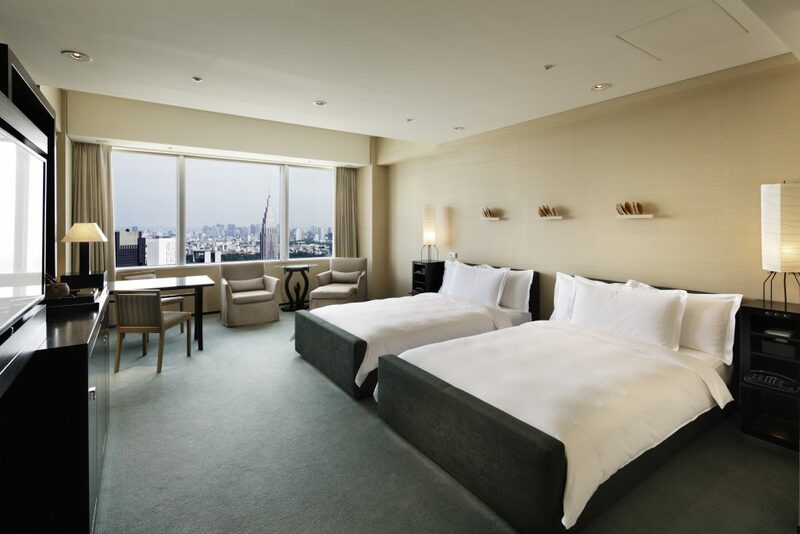 Park Hyatt Tokyo is admittedly intimate by Asian standards, yet spacious and serene, with one of the largest guest rooms in Tokyo. 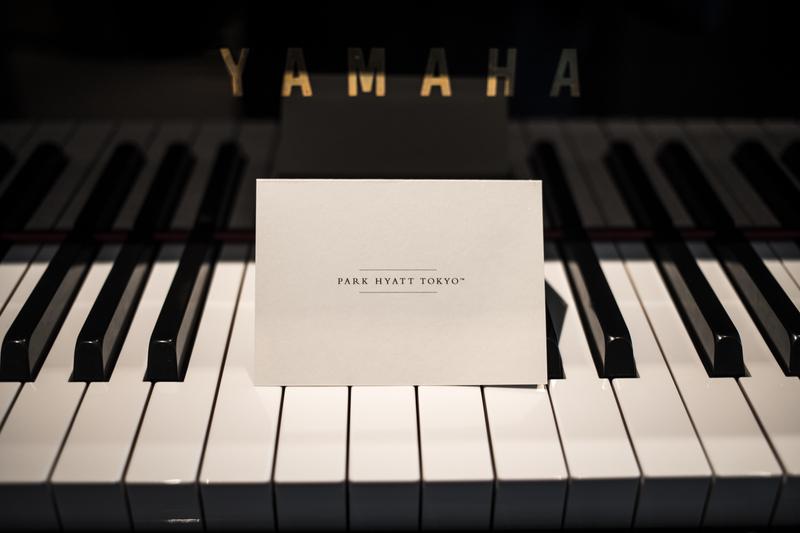 While non-guests won’t appreciate the wealth of amenities and meticulous details in said rooms (such as plentiful Aesop products and bespoke music compilations from Ryuichi Sakamoto and NIGO), the Park Hyatt Tokyo’s many venues are entirely open for elation. Girandole offers classic, warm French bistro ambiance with all day service, while the New York Grill, New York Bar and Peak Lounge offer dining and twilight experiences that would make even the most jaded Manhattanite sentimental. 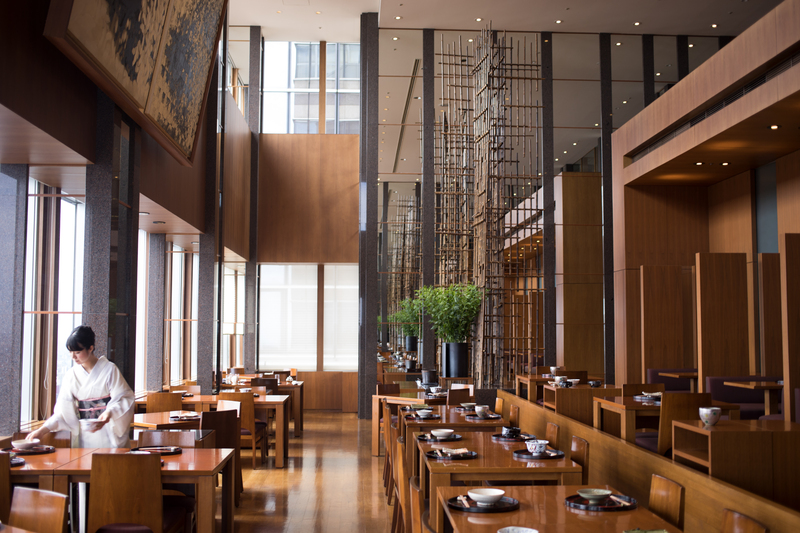 But it is Kozue, nestled into a serene, dark wood corner of the 40th floor, that will enchant those in search of a traditional Japanese dining experience coupled with contemporary adornments. Chef Kenichiro Ooe places the utmost importance on using only the best of what Japan offers seasonally, with a keen obsession to preserve the integrity of each ingredient with simplicity and minimal handling. As waitresses in traditional kimonos serve you masterfully presented food in beautiful earthenware, porcelain and lacquerware produced by noted Japanese craftsman, you’re drawn into panaromas of Mount Fuji and the dazzling Tokyo cityscape later in the evening. 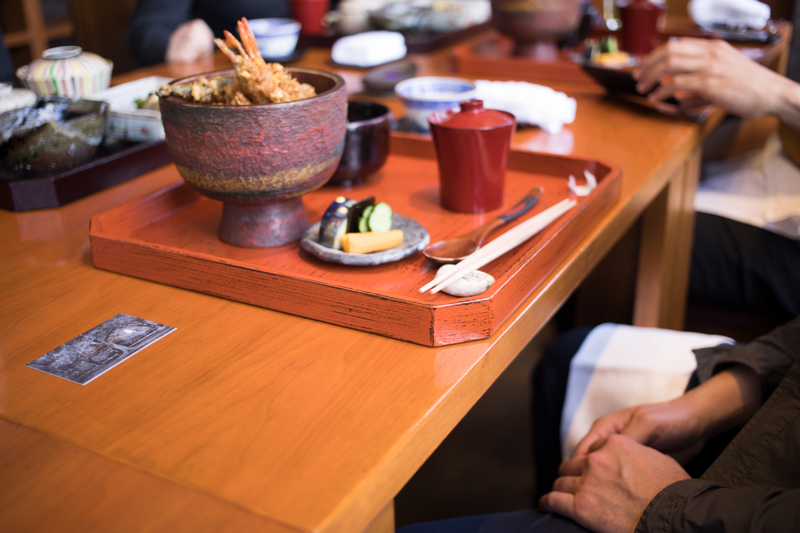 Overall, it is an experience especially well suited for your final meal at the property (or in Japan itself). 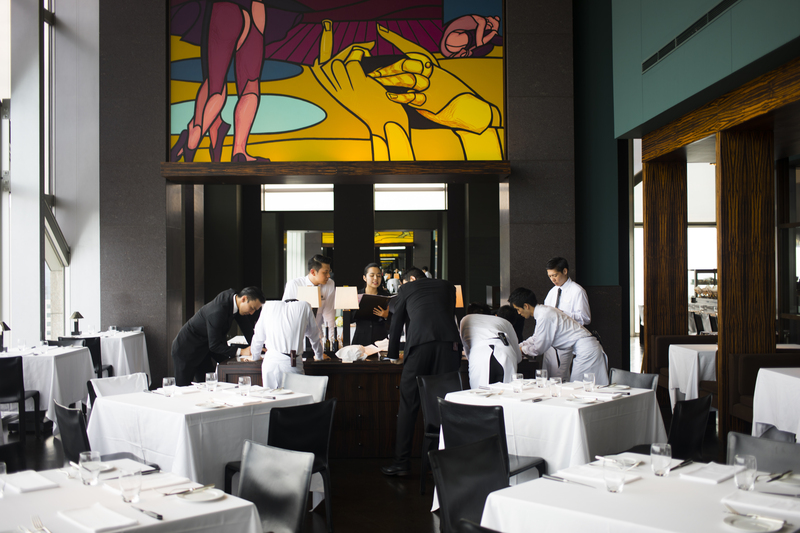 No matter your experience at Park Hyatt Tokyo, you’ll likely note their mastery of second, and perhaps more relevant principle — “Omotenashi”, the distinctly Japanese art of taking pride in anticipating and fulfilling people’s needs in advance. 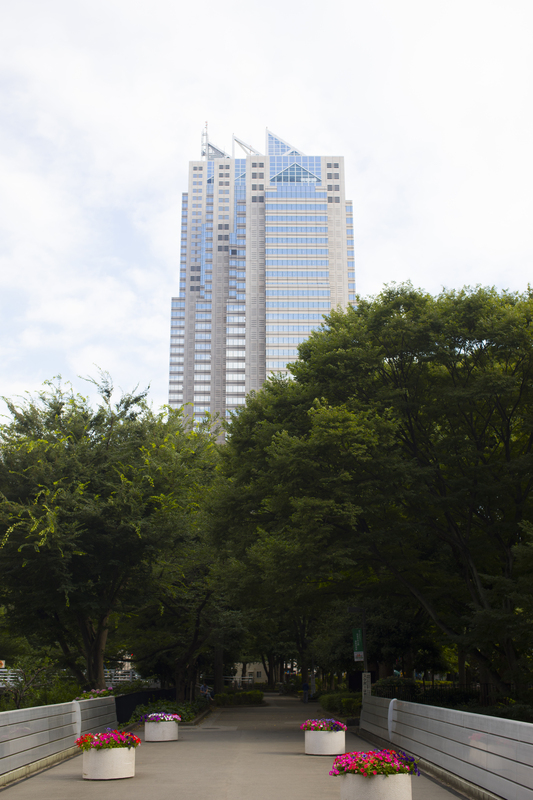 It is an influence that has always run deep in Tokyo and, apparently, can climb quite high too.